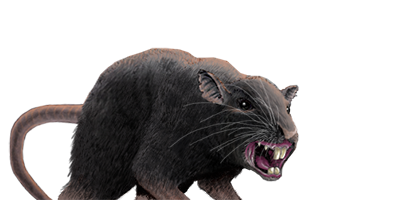 Much larger than the common rats which often inhabit major cities, these vermin can injure an unarmed civilian, and can prove frustratingly elusive on any footing. While notably aggressive at night, these creatures do not pose much of a threat to any serious fighter. Last updated on Sat Apr 13 00:43:34 2019.